On the beginning of 2016 I bought a new radio, because the old TS-930S died. The new radio is TS-590SG. The rest of the shack is the same. L-4B, WinKeyer USB, Palstar PM2000AM, N2DAN paddle from Bencher #1200, CQRLOG on the screen. Photo of my hamshack in 2015. L-4B, TS-930SAT, FT-817, WinKeyer USB, Palstar PM2000AM, N2DAN paddle from Bencher #1200, CQRLOG on the screen. The L4B is borrowed from our local club OK1KMG. Summer 2010 two months after I became FOC member. On the desk is N2DAN paddle from Bencher #1200. My first PA on the desk and for the first time, the CQRLOG for Linux on the screen. The paddle on the picture is HexKey from Elecraft. Picture from 2008. First photo of my hamshack in 2007 just after we moved to our own appartment in Neratovice. I bought TS-930SAT and used it together with ZACH paddle I got from my wife. Antena was inverted V for 40m band tunned to other bands with Z-100 auto tunner from LDG. Hamshack in Praha, I sold the FT-707 and bought QRP FT-817. Used it with inverted V antena wired only for weekends. This photo was taken just before CQ WW CW 2004. Photo from 2002 before I went to Praha. On the top of antenna tunner is M160B together with pump key and TRX Trapper for 40m band. 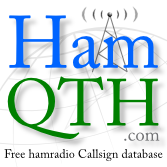 My hamshack in 2000. I bought my first profesional radio the YEASU FT-707. On the roof had HB9CV for 20m. Nice years with lot of nice DX QSO. My hamradio career started in 1998 when I got the licence. This picture shows my first hamshack with MINI-Z tube TRX, M160-B transceiver, Baycom modem for packet radio and M02 TRX for 2M FM. There is also my first paddle from polarized relay contact set.